Division Chair’s September 2017 message message to all interested CSCE members. Division Chair’s April 2017 message message to all interested CSCE members. The mission of the Engineering Mechanics and Materials (EMM) Division is to contribute to maintaining high standards of the civil engineering profession through promoting the exchange of knowledge between researchers and engineering professionals working in the area of engineering mechanics and materials. In line with the CSCE Strategic Direction 3, Leadership in Sustainable Infrastructure, the Division promotes the exchange of new initiatives and ideas pertaining to sustainable materials. 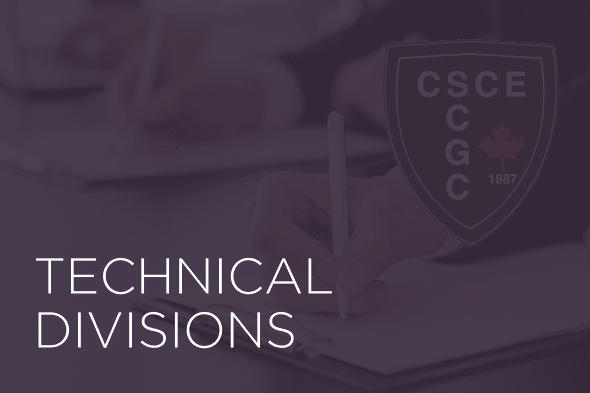 Serving a dynamic and evolving area of civil engineering, the members of the Division use various avenues to share their expertise and findings with the engineering profession in Canada. Within its mission, the major activities of the Division include: (i) organize international specialty conferences in the area of engineering mechanics/materials, (ii) develop and offer short courses covering specialized topics, (iii) disseminate and share knowledge through guest editing special issues of the Canadian Civil Engineer magazine and organize panel discussion on hot topics during the international specialty conferences, (iv) promote collaboration between researchers at the national and international levels, and (v) enhance the engagement of young engineers and engineering students through poster and paper presentations and best student paper awards during the specialty conferences. Dr. M. Shahria Alam, P.Eng. The EMM Division organizes a biennial international specialty conference on engineering mechanics and materials. The 6th International Conference on Engineering Mechanics and Materials will take place from May 31 to June 3, 2017 in Vancouver, Canada. In addition, the EMM Division organizes ad hoc international specialty conferences of engineering materials. As part of the international specialty conferences, the EMM Division has championed and conferred student paper awards based on high quality papers and presentations and panel discussions on hot topics featuring renowned guest speakers.